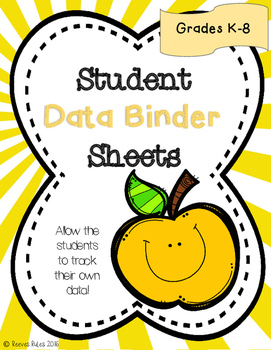 We all have to track data so why not try having your students track their own? 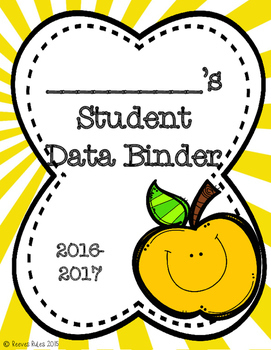 I have created a template for you to create a binder for each student. ★A coversheet for the 2016-2017 school year. 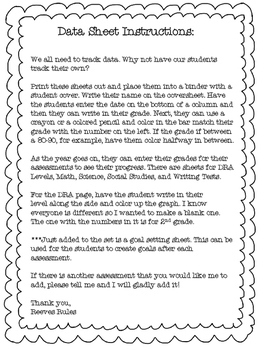 ★Student data tracking sheets for DRA levels (one sample and one blank), Math Tests, Science Tests, Social Studies Tests, and Science Tests. 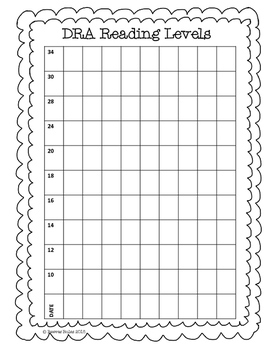 ★Now with a goal tracking sheet. Be sure to follow me on my TPT store by clicking the little green 'Follow Me' star next to my seller picture to receive notification of freebies and upcoming sales! Great info on my Facebook page!